A life-affirming book about the British countryside, the cycle of nature, solitude and contentment, through the prism of a brilliant new nature writer's experience working as a traditional mole-catcher, and why he gave it up. I have been catching moles in gardens and farms for years and I have decided that I am not going to do it any more. Molecatching is a traditional skill that has given me a good life but I am old now and tired of hunting and it has taught me what I needed to learn. Although common, moles are mysterious: their habits are inscrutable, they are anatomically bizarre, and they live completely alone. Marc Hamer has come closer to them than most, both through his long working life out in the Welsh countryside, and his experiences of rural homelessness as a boy, sleeping in hedgerows. Over the years, Marc has learned a great deal about these small, velvet creatures who live in the dark beneath us, and the myths that surround them, and his work has also led him to a wise and uplifting acceptance of the inevitable changes that we all face. 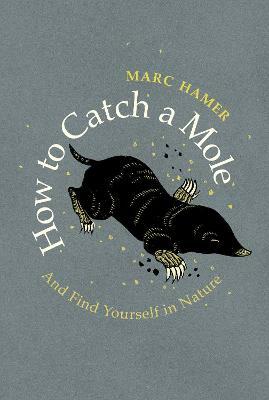 In this beautiful and meditative book, Marc tells his story and explores what moles, and a life in nature, can tell us about our own humanity and our search for contentment. How to Catch a Mole is a gem of nature writing, beautifully illustrated by Joe McLaren, which celebrates living peacefully and finding wonder in the world around us. Marc Hamer was born in the North of England and moved to Wales over thirty years ago. After spending a period homeless, then working on the railway, he returned to education and studied fine art in Manchester and Stoke-on-Trent. He has worked in art galleries, marketing, graphic design, as a magazine editor and taught creative writing in a prison before becoming a gardener.